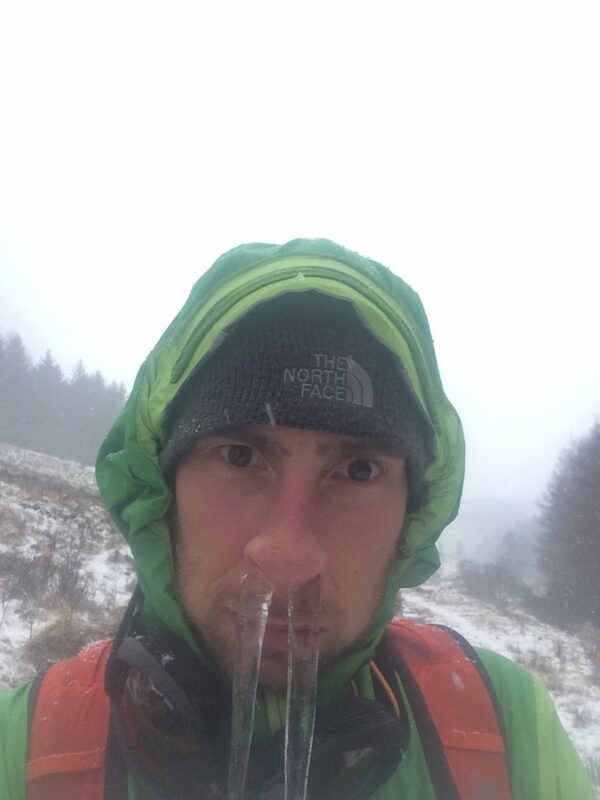 I was recently asked by a friend why go winter climbing. I thought long and hard about it, and the following was my response. You get up at 5 am, try and force some breakfast – your digestive system is still dormant. All your body wants to do at that time in the morning is go back to sleep. You are grateful for coffee, as it gives you enough energy to get moving. Once you have parked the car – dazed and confused, sometimes unwilling – you force yourself to put your boots and and go, before you change your mind. Then the walk in – 2 hours; uphill, wading through snow, carrying a load of gear and emergency stuff, for most eventualities…. Once you have navigated to the bottom of your chosen route, you realise you have broken into a sweat. You change your thermal top at the bottom of the climb; high wind and snow blast your naked torso. Then you battle through a climb. There is always a body part close to the freezing temperature. You are struggling to keep warm. Spindrift gets blasted down the back of your clothes. Freezing wind, carrying snow and spindrift, melting onto your skin. Then refreezing onto your eyebrows, eyelids and nose as icicles. They grow bigger and longer by the minute. You then hang on a belay for an hour or two, while your mate tries to climb on his/her limit. Freezing your backside off and just about keeping your mental capacity in the present. So that if your mate does fall off, you are there to catch them. Obviously a good day out climbing. Then, the walk out; two hours back to the car, with a backpack that weighs twice as much. Wet and iced up ropes and gear you have just repacked in a rush; a treat for the other end of the journey. Sometimes, visibility is almost none; you then have to navigate using a map and compass. If you don’t keep your wits about you, you may walk over a cornice; or a bad route choice may get you avalanched. Actually, I’m not sure I’m selling winter climbing to anyone who is looking to start out, am I?! Generally, I find winter climbing type 2 fun (*). There is the odd day in Scotland, where the sky is blue, the sun is out, no eddies to be seen caressing the tops of the cornices, and the temperature is just below freezing. 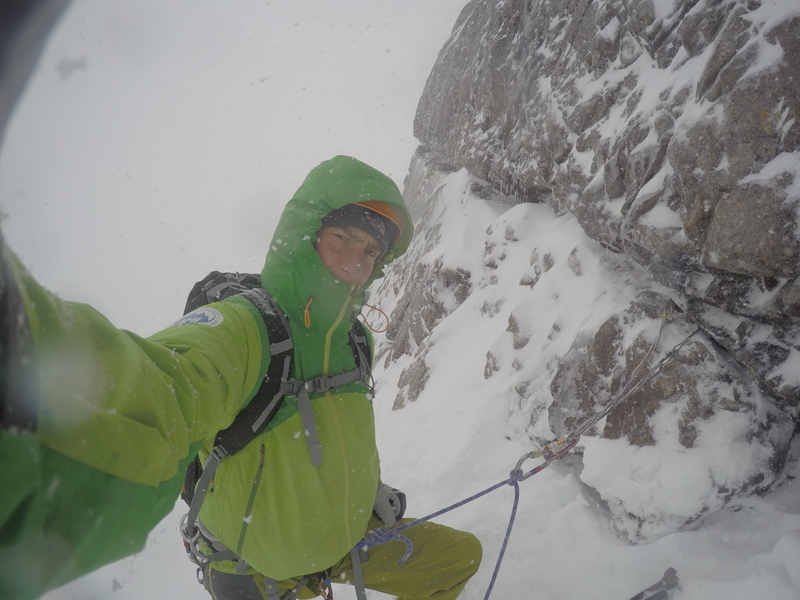 So what is the attraction, you ask, to winter climbing? Just like rock climbing you have those moments where all of your concentration is focused on the moment. Your next placement, your next hold, your next piece of protection. All stresses in life seem to dissipate. As well as the above, it feels like more of an adventure. There are so many elements to consider. You start with checking the weather and avalanche forecast, and decide a selection of routes that would be in condition and safe to climb. Then, depending on the route(s) you have selected, you have to pack the right amount of equipment. Not too much, as you have to carry the lot. Not too little, as you need to be safe when climbing. On the approach you check the forecast conditions match what you observe. If these don’t match, you need to be flexible in your plan. You have to make the right choices on the approach, as you tend to have to go in terrain that could be potentially avalanche prone. You then climb your chosen route. Because of the weather conditions, this can sometimes feel harder than it is. Once you have topped out, it is a great feeling. But then you still have to navigate your way back to the car. You have to stay switched on; in Scotland whiteout conditions are a regular occurrence. Walking on a bearing and pacing come in handy. I guess there are so many different elements to struggle against, you have to be so much more switched on. Winter climbing can be so much less forgiving. BUT it’s so much more of an adventure. And, I guess, that’s where the attraction lies. Seeing if you are man or woman enough to take on this challenge. It’s a love/hate relationship for me. I must love it more than I hate it, as I have made it my job now. If you are interested in a winter climbing course, even after this article, please follow this link, and we would be happy to help you.